The park with the sculptures of the Tyrolean artist Alois Schild is located at the Brandenburger Ache river. View on Kramsach in summertime. 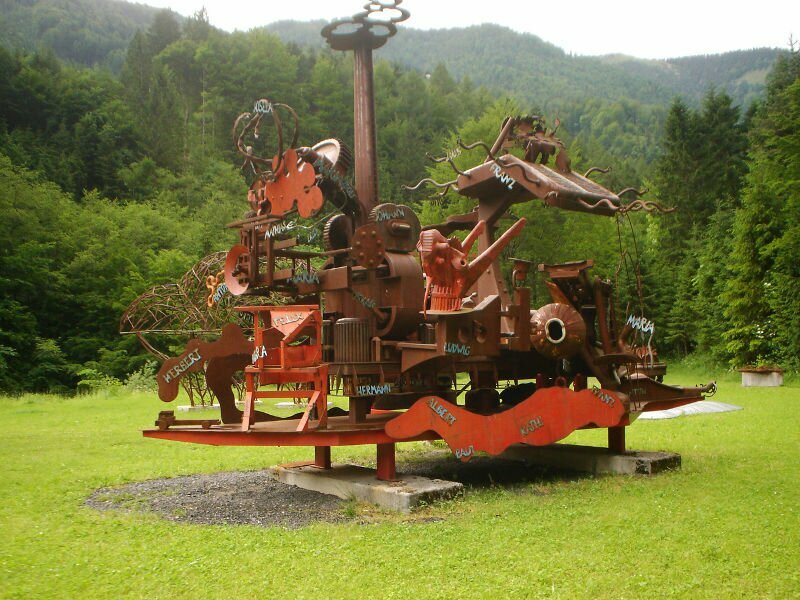 In Mariatal, a district of Kramsach, a unique sculpture park came into being. It was opened in the early 1990s. The Kramsach Sculpture Park is located directly at the Brandenberger Ache river. On the large site sculptures of the artist Alois Schild are exhibited. The Tyrolean artist completed the Academy of Fine Arts in Vienna. 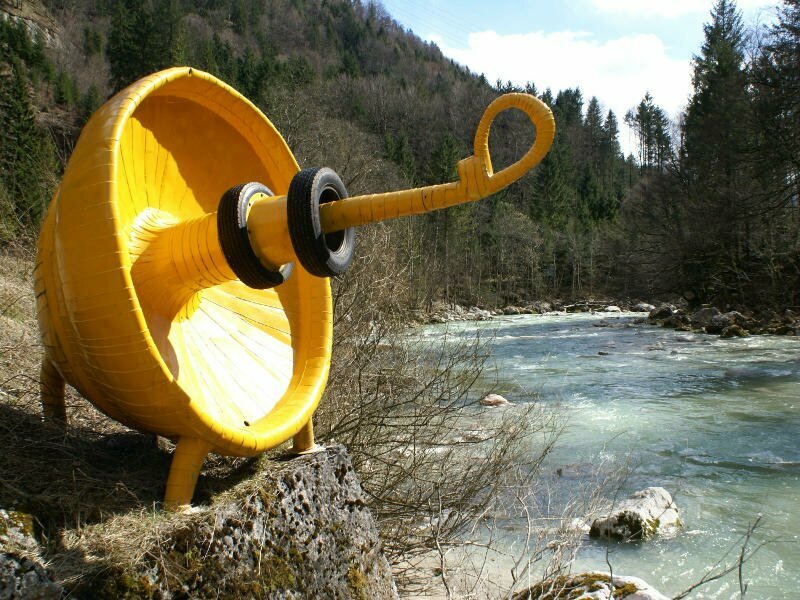 Today Alois Schild implements sculpture projects in all parts of the world. “The hobby horse of the dictator”, monument for 61 murdered fellows (2003). 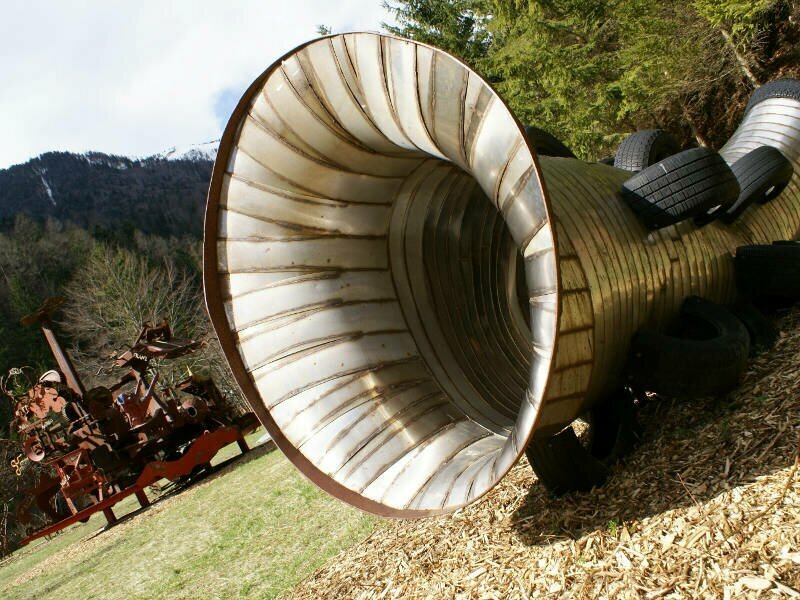 The park with its artworks is publicly and freely accessible all the year round. 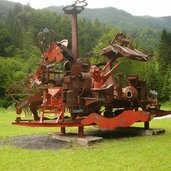 A symbiosis of art and nature - the Kramsach Sculpture Park. Surrounded by the sculptures also exhibitions and concerts regularly take place. An addition to the sculpture park is the “Troadkastn”, a gallery housed in a 300-year-old warehouse. 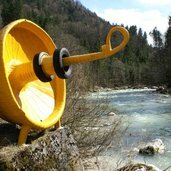 At the Brandenberger Ache river, in the village of Mariatal - a district of the Kramsach municipality - a publicly accessible space is located, which shall bring together nature and art. 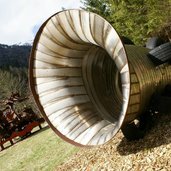 Sculptures of the Tyrolean artist Alois Schmid are positioned on the site and surrounded by them temporary exhibitions and concerts regularly take place. The park was opened on 26 June, 1993. Alois Schild placed his sculptures in the early 1990s. Born in 1960, he completed the Academy of Fine Arts in Vienna and got his diploma with the installation “Land der unbegrenzten Möglichkeiten”. Few years after his return to Tyrol, Alois Schild opened the sculpture park at the Brandenberger Ache river (Skulpturenpark Kramsach, in German). The artist also implements sculpture projects in all parts of the world. An addition to the park is the arts forum “Troadkastn”, which was also implemented by Alois Schmid. A gallery, which is housed in a 300-year-old warehouse, sculptures, objects and installations of international artists are exhibited here. Also the “Troadkastn” is opened all the year round and can be visited free.